It’s no surprise to us dogs that 170 years ago dairy cattle grazed on what are now some of the most valuable business and residential sites in the west of London. What is surprising is that there are today no signposts to the incredible operation that was to become the milkman to Queen Victoria and the largest retail milk business in the capital. 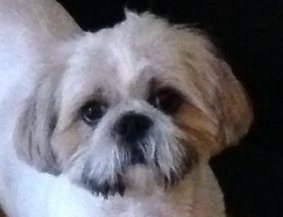 We are thankful to Hugo and Henry, two Shih Tzu’s we know in the Warwick Avenue area, for alerting us to this impressive development – vestiges of which can still be seen today. 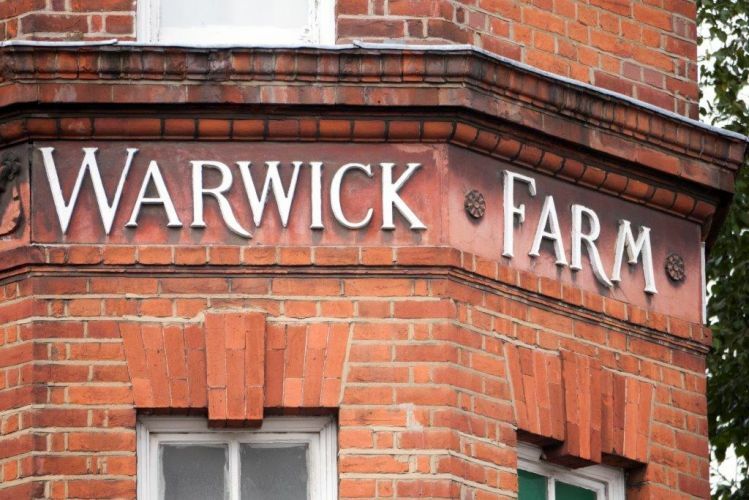 It was in 1845 that Richard Welford, a cowkeeper from Holloway, took over Warwick Farm, near Paddington and founded what was to become J Welford & Sons Ltd. Richard opened his first dairy shop at 4 Warwick Place in 1848. The locality of Warwick Farm can be sniffed out in the area bounded by Warwick Avenue, Warwick Place and Warwick Crescent. The farm’s cowsheds were between the Harrow Road and Warwick Crescent. London was changing fast in those days and the sheds weren’t to stay as result of the advent of the Great Western Railway and the consequent ubiquitous building this inspired. By the mid 1850s these cowsheds were gone to Oakington Manor Farm, at Wembley. But at this time the Harrow Road – from the crossing of the Grand Junction Canal – was still regarded as being “quite in the country”, with a few residences dotted on the south side, including Westbourne House, once occupied by Mrs. Sarah Siddons, the actress who made the character of Lady Macbeth her own. She actually died in 1831 and is interred in Saint Mary’s Cemetery at nearby Paddington Green. To get across the canal in those days – the bridge carrying the Great Western Road didn’t exist – required a punt at a fare of a halfpenny a person. When Richard died in 1858 his three sons took over the management of the business, and seeing the expansion of London with the development of the Neeld Estate (St. Peter’s Park), and the building of Shirland Road and Elgin Avenue, they bought a site at the corner of Elgin Avenue and Shirland Road. What they created was a vast two acre development. 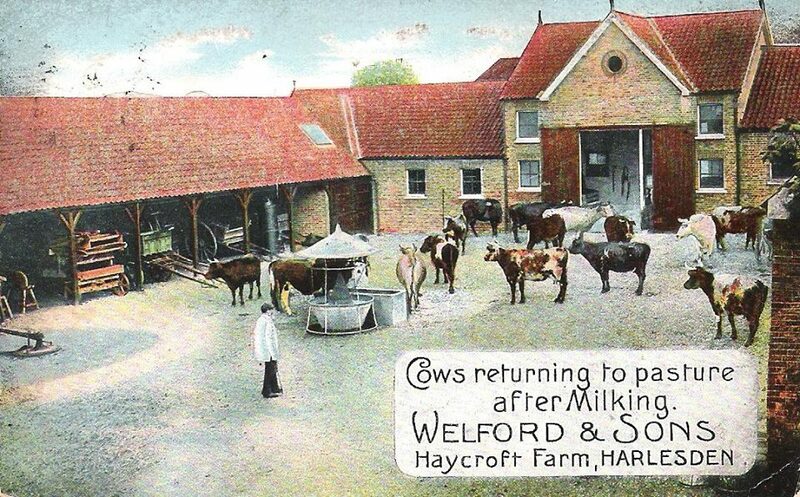 It needed to be big to process the production of milk fresh from the cow, that came in part from their own farms – College Farm at Kensal Rise, and the Home and Haycroft farms both at Harlesden. By 1876 they had started supplying dairy products to Queen Victoria. This new model dairy, with workmen’s flats, was opened in 1882 at the north corner of Elgin Avenue and Shirland Road. It was about this time that customers were told in a brochure that “during the Passover cows will be brought to those who wish it and milked direct into their own cans”. In 1891 the Warwick Farm Dairy was processing the produce from more than 100 farms, employing 400 people, as well as 50 girl clerks. 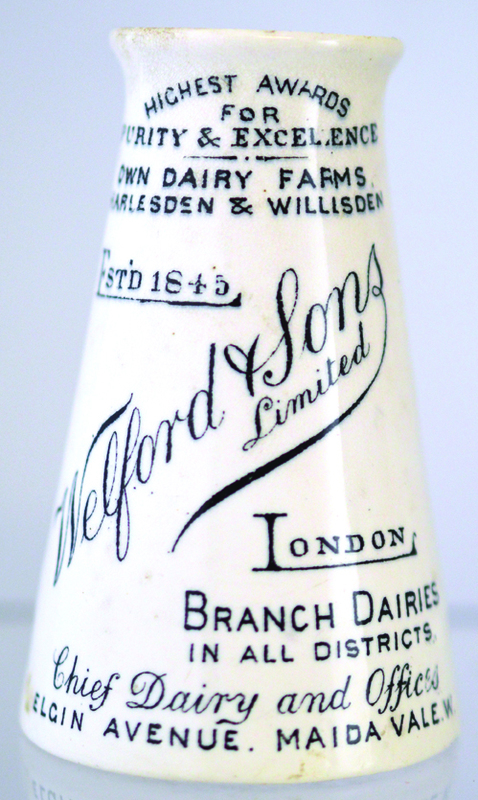 After forming subsidiary companies in the 1890s, Welford’s in 1915 joined United Dairies, which from 1959 became part of Unigate. United Dairies retained a depot at Welford House, part of the Shirland Road building, where the Church Army Housing Trust had its headquarters in 1983. United Dairies also had offices in St. Petersburgh Place which had been built for the Kensington-based Belgravia Dairy Co., most of whose outlets had been in Bayswater. 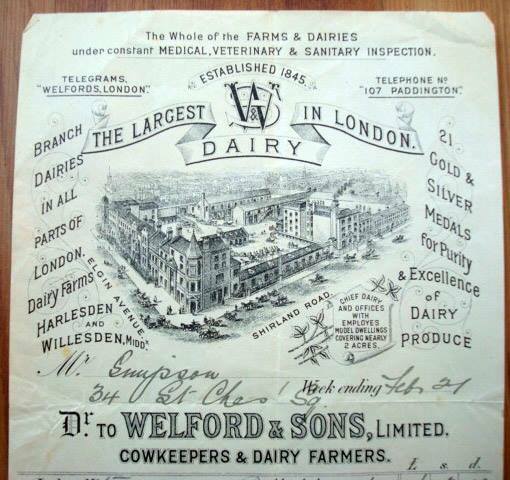 The growth and development of J Welford & Sons Limited is an instructive illustration of the process of evolution in the dairy trade, fostered by London’s population explosion. From the 1740s enclosed meadows covered most of the parish east of the Bayswater rivulet (the Serpentine in Hyde Park is a remnant of this ancient Thames tributary), stretching from the Roman Watling Street. The arable fields were systematically being converted to grass. Indeed as early as 1595 regulations were put in place for the control of cattle and ringing swine grazing here. But the conversion of arable to grassland, arising from London’s demand for dairy produce and hay, was to meadow rather than pasture. In 1798 cowkeepers were said to engross every inch of available land around Paddington and similarly placed villages. The cows were kept in stalls and yards, while the fields were mown two or three times every summer to supply a rich diet of soft hay, supplemented by grain and green vegetables. There were still 99 acres of permanent grassland for hay as late as in 1867, besides 20 acres of clover and half an acre of potatoes. Three farms of under 50 acre still survived in 1870, when there were 57 acres of permanent grass. But, confined to the north part of the parish, grassland had shrunk to 33.5 acres by 1880 and just seven acres. by 1890. After that the only agricultural land was put aside for allotments. There were 200 of these in 1895. Welfords would not have been alone with problems at this time. Cowsheds that were in unhealthy proximity to people’s dwellings, together with adulteration of milk, formed a major preoccupation of the medical officer of health in 1856. This was when there were 314 cows being kept by 27 keepers. Indeed many families still lived under the same roof as their livestock in 1862 and an outbreak of cattle plague led to the appointment of a temporary assistant inspector of nuisances in 1865. The number of cows in milk fell more slowly than the acreage of grassland: there were 157 cows in 1867, 133 in 1870, 86 in 1880. There were three cowhouses still surviving in 1894, in Elgin Avenue, Chichester Mews, and Star Street; but only the one in Star Street, licensed for 10 cows, remained in 1904 – surviving until 1927. What a fantastic little piece of history. We live in this building and it is superb to learn a bit more about its past. My partner and I would love to try and get a copy of the ‘largest dairy in London poster’ captioned ‘size matters’ in your article. Is there any way you could advise on where we might get hold of a copy please?